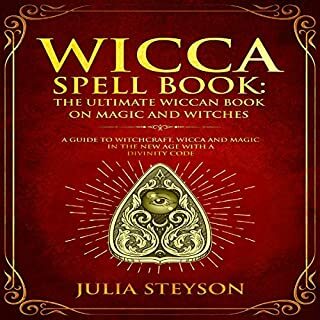 This audiobook is a comprehensive guide to witchcraft, Wicca, and magic. It is just as useful for a beginner as it is for someone with knowledge on the subject. You’ll learn about spells, sigils, the five Wiccan elements - and most importantly for a Wiccan, you’ll learn about developing and nurturing your spiritual connection with the natural world. Discover how astrology works. This audiobook is authored by an expert on astrology. 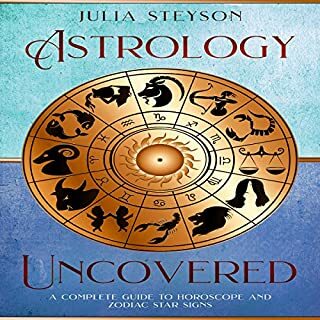 This audiobook will teach you the meaning and significance of the planets in astrology, how to read the astrological chart, and give you a detailed breakdown of each birth sign, horoscope, and zodiac sign. After listening to this audiobook, you will have a full understanding of what astrology is, how it works, how to read star signs, and most importantly, how to read your birth sign and that of your friends and family. Learn from a master on the subject. 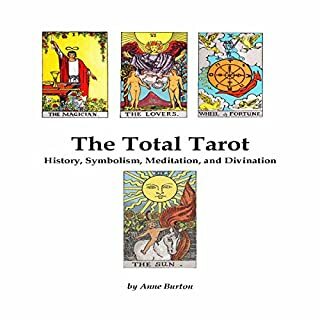 The tarot is a pack of 78 playing cards used by mystics and occultists for foretelling the future as well as for giving you a peek into your spiritual and mental pathway. Tarot cards have existed since the mid-15th century in various parts of the European continent. However, at that point it was basically used to play card games, such as French tarot or the Italian tarocchini. Master your psychic ability and learn to give accurate professional level tarot card readings today only. Discover how to give an accurate Tarot Reading to find the path to love, your perfect career, and the best path to improve your income and investments by learning how to read tarot like a professional. By listening to this tarot audiobook you will learn to read like a professional tarot reader for personal use, or to give psychics readings to earn income. You will also master how to give accurate psychic readings while discovering your own spiritual path to success. An easy-to-understand, comprehensive guide on tarot-card reading! This audiobook explains all the types of tarot cards. 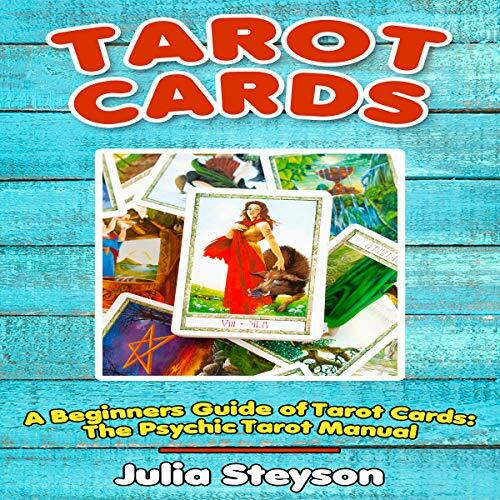 Julia Steyson takes you from not knowing a thing about tarot cards to understanding how they work and how to read them. Why do we read the cards, and how do they work? 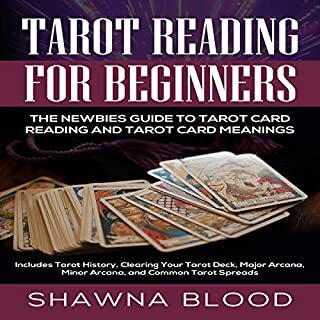 Whether you are a beginner or are more advanced when it comes to tarot cards, this audiobook will break it down for you in a simple way. You will be able to read tarot cards! This is a truly wonderful if you are interested in learning the meanings and symbolism of the tarot cards. 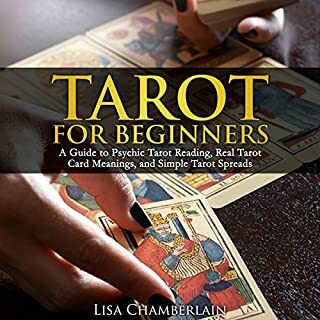 This is everything you need to know as a tarot reader (beginner or experienced) There is something in here for all tarot readers. What I like best about is its attention to detail explaining what you are looking at in each card. It brings out details you may not have noticed. I love this and would happily recommend it to anyone interested in Tarot. This one is the most accurate. I Love it! Love the gold trim on all the cards. Love the feel of them when shuffling. Love the ethnic diversity. Go with the cards you feel more drawn to and just do it! I have way too much fun with them. They really great for beginners and advanced card readers alike. As a beginner, they have really helped me hone my intuition. I am so glad to have it. As a beginner, the book really helped me to understand the concept behind Tarot. The cards are amazing and the set together made it much easier to get into the science than I thought it was going to be. This is a complete set up and gives you all the information you need to get started. 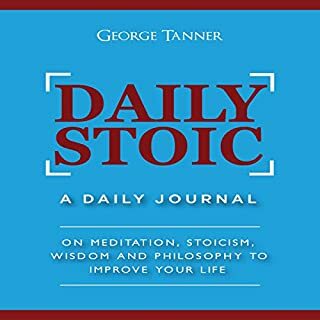 I highly recommend it to anyone who's just starting out as it is very easy to read and it has all of the basics without all the fluff. Easy to read, accurate, great for beginners. The book is laid out very nicely so it's easy to find each card and the meaning of it. It's been very interesting and so much fun. I'm sure there's a lot more I could learn but it's great for beginners. I am so impressed with this that I am recommending this to anyone who shows an interest in the Tarot. I can't thank the author enough for the care and effort put into this entire kit. Some of the most provocative and prescient symbols are pithily unpacked in this MUST-HAVE tome. The reading I used it for the was so robust, and my quierent was genuinely moved. I'm realizing that I need less and less the guide when I'm listening. Great for the beginner I am. I am very pleased with my order and I am enjoying to listen. This book was useful in terms of introducing tarot reading to a beginner. Gives suggestions with respect to practicing and learning the cards as well as basic description of cards and suits. I highly recommend this book to anyone that is learning and needs a great guide to deciphering the meanings of the cards. I appreciate the inclusion of illustrations of each card from a classic deck and the diagram of a basic spread. I am just beginning out learning the tarot cards and this book gave me new insight into the suits of the deck. I always wanted to tell my own fortune and have owned Tarot cards for years but never knew how they worked. Will listen it again for reference. It's easy to understand and even easier to memorize each card's importance. I've done a handful of practice readings on my close friends and family, and I'm already getting the hang of it! I learned about tarot cards more and starting using it as a beginner, works great! This is great for beginners and it comes with the cards are easy to understand. Definitely recommended. A fascinating look at the current obstacles that facing the world's most beautiful places. Though not a book that i normally reading, Therefore i found which my feet were next to be in, it will compelling for my another will be unforgettable moment in such different places were i to be. I am thankful in handling this audio-book. Tarot is clearly not future predicting, fortune telling medium that pop culture would have you believe it to be. In fact these cards have more similarities to maps than crystal balls.It is more near in where about's achieving a better understanding of were you are in life. For the whole interesting patterns of whereas all about is to listen carefully and apply it by this audio-book. The practice of tarot has always had a sort of magical air around it, making it hard to fully grasp and daunting to study after all. Can you really see the world? In practice, tarot has less lot to do with untouchable mysteries and lot more to do with intuition, self consciousness and personal spirituality.In having the good practice in Tarot cards this audio-book is well advised for you to listened and be Pro.
" a tarot psychic pattern"
Learning the 78 taro cards is not just easy as we memorize and familiarize a things and places, names. We have to open our devotion and focus and open our mind in the world of psychic taro reader. With help of this audio-book is a beginner way to profession profession of being a tarot reader. Using a taro is great to know our consciousness, having a knowledge about tarot card is better to widen our mind to an exceptional that prefer for us to happen its good to learn and be guided than to unconsciousness thinking that its good and bad premonition. If you're going to explore and a seeker to complete your journal of tarot card. Whether a newbie or starting to getting to know and familiarize your tarot cards. This audible is absolutely for you, it consist of basics information of a tarot card, the behavior or cards that perfectly fits in your character, learning on how you smoothly choose the best combination of cards in your deck, and of course the fully definitions of your cards and each aspects that reacts in humanity and nature of living. Looking for a all mystical Things, Spiritual concept, occult and Witch expands into the stream. Boost your power of mind and working with the divine. I assure you that these audible is perfect suitable for you. From the scratch newbie to a professional tarot reader may it be you. In standing as a newbie tarot reader that breaking down the meaning of the symbol your cards in your deck. You or we have to know first when and how to start reading our card? In a deep psychological guide to self empowerment as imaged through 78 symbolic cards? May advise you to simply grab this book like mine and definitely from zero to the fullest activity will held you. I should give Thanks to the great author and to the narrator that clearly narrates each chapter. Having a knowledge of be'in a tarot reader is a simply amazing talent, not all tarot reader given the exact thought as were expected or as we wanted to hear to happen in our path. It is a perception that base on our chosen card in the deck, it may not all positive but it captures the necessity that near to happen. That's why, it is good to learn also be knowledgeable on our way. This book served to much wonderful lessons. "zero" is the FULL cards key words is the free spirit a living of the unknown, a new beginning, the unexpected. The full card is shows the little young person standing on the edge of the clef carries little baggage and ignores the dog symbolizing continuous awareness that barking on his feet. Like the easiest way to identify the keywords of the cards that I found out in this audible., it is probably u can make it too by listening to this.